What falls between the cracks of our old wooden dance floor. Crumbs of collected information, the essence of what lies beneath. I know I haven't written in my blog in such a long time! I've been so busy catching up with basic things...Such as schedules, fundraisers, et-cetera. But here I am again, writing on my little dance floor! Let's see, where do I begin??? Well, classes have started up again, obviously. I've gotten tougher with attendance and schedules. I know this will be a nice change, I find parents actually appreciate it more, because they can count on class to be always on time and as scheduled, and kids are learning the value of commitment. 1) A good portable PA system, since the studio where we are at just has a lame little boom box and when we start stomping on the floor we can't hear ourselves. 2) Parade music. We are still researching the best way to play our music for the Fiesta Parade. 3) Musicians. We want to hire LIVE MUSICIANS so we can have REAL FLAMENCO in Fiesta. If you are a true Flamenco aficionado, you will understand this! 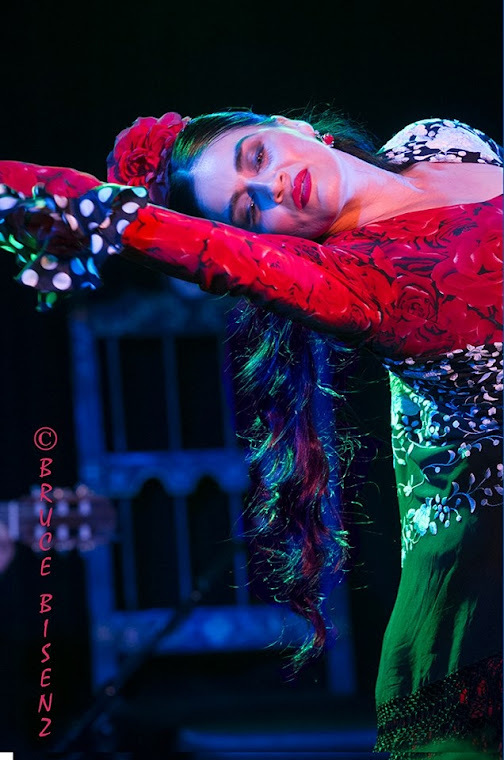 So if you want to support the education and preservation of this beautiful art form of Flamenco, so important to California itself, and to contribute to children's happiness in taking part in culture, contact one of our students and order yourself some candy! Candy orders will be available by Easter or any Spring celebration you have going on. They come in cute and festive packaging. Another cool thing that has happened in our studio, is the realease of the Documentary produced by Katina Dunn. It is called "KUMPANIA: FLAMENCO LOS ANGELES". www.kumpaniamovie.com The mysterious pull of an old Spanish Romani art on a group of contemporary musicians in Los Angeles is the essence of the documentary film "KUMPANIA Flamenco Los Angeles." Directed by Katina Dunn, Cinematography by Avi Cohen, Film Editing by Noah Berlow & Executive Produced by Kevin Dunn.Starring Antonio De Jerez, Vanessa Acosta-Albalos, Mizuho Sato, Briseyda Zarate Fernandez, Jose Tanaka, Timo Nunez, Paloma Rios, Kai Narezo, Tony Triana, Gerardo Morales, Gabriel Lautaro Osuna, Joey Heredia, Deborah Lawler and Bruce Bisenz.